Shredded kale sprouts, red onion, pickled baby beets, walnuts and goat cheese with a balsamic vinaigrette. Flavors that all rock together! Shred kale sprouts in a food processor using the shredding blade or chop manually. Transfer to a bowl. 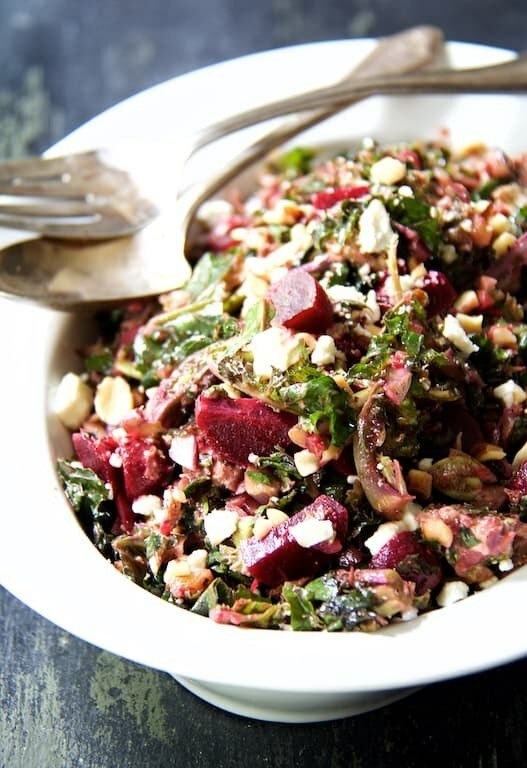 Add red onion, baby beets, walnuts and about 3 ounces of the goat cheese. Toss to combine. Whisk dressing ingredients together in a small bowl. Pour over salad, mix well. Transfer to serving bowl and top with remaining goat cheese. Serve immediately.